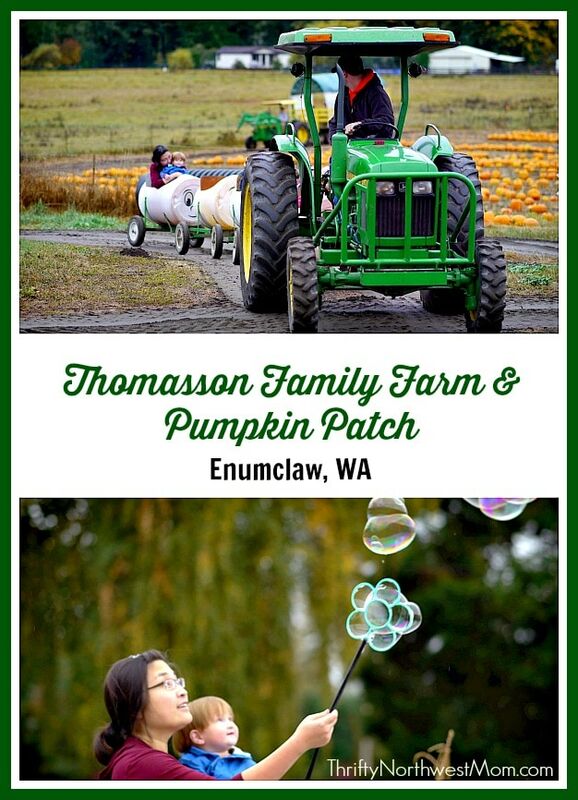 Thomasson Family Farm is a working dairy farm that has opened up their farm for the past 8 years as a pumpkin patch along with other fun farm activities. 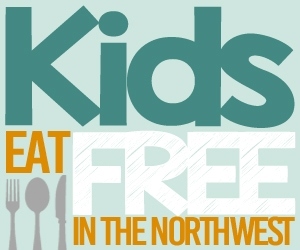 They are located in Enumclaw, WA and will be open starting tomorrow, Wednesday October 1st, 2014. Activities include everything from a U-Pick Pumpkin Patch, corn maze, hay ride, corn box (where kids jump in an area filled with kernels of corn) to a special kids area. We enjoy the ‘Farmalicious’ corn maze, which is presented in partnership with Darigold. My then 2-year-old son spent hours exploring the Kids Korral play area complete with bubble table, duck water racing, a variety of tractors to climb and explore, slides, etc. There’s a corn pit, plus a variety of small farm animals to visit with. There are fresh-made snacks available for purchase. It’s a great and very affordable way for toddlers and preschoolers to burn off energy on a long afternoon. My family makes repeat visits to Thomasson Farm each fall because I feel like we get so much for our money. A weekday visit for myself and my son costs a grand total of $6 and includes every attraction (kids play area, corn box, pumpkin patch, hay ride, etc.) except the corn maze. (At age 2, he didn’t seem interested in getting lost in a field of corn.) But for those who’d like to explore the cool ‘farmalicious’ maze, it’s an extra $4 per ticket. I find it hard to stomach attractions that charge full admission price for each adult in a family when all the attractions are meant for kids. This, and knowing that the grown-ups will probably be spending money on concessions and other souvenirs anyway. I love that Thomasson makes it easy for moms, dads, grandparents, aunts and uncles to tag along in the fun, and the family visit won’t break the bank. I also love their customer service. My son spends hours running in between the corn box and the play area and I usually have trouble getting him to leave, in spite of the rainy weather so typical in October. On one of our visits, it hadn’t occurred to him to hit up the pumpkin patch until it got late and darkness was actually starting to fall. When we reached the area, he pointed at the tractor pulling the hay wagon (for rides) which was all the way at the other end of the property, crying that he wanted to get on. I figured it was probably the last ride of the day but when the driver pulled back in, he let us hop on and took us for another spin. It was really great of him, and it saved me from a meltdown in the car. Enumclaw is a little further out for us, but I totally think it’s worth the time (and money) to visit. Thank you April for this great review! We’d love to hear from you if you’ve visited Thomasson Pumpkin Patch & what your experience was like! April C. is a stay-at-home mom of two who can now recite The Lorax by heart and enjoys the challenge of sneaking wholesome nutrition into her picky toddler’s diet. In a past life, she was the Patch local editor for several hyperlocal community news sites that covered Enumclaw, Bonney Lake, Sumner, and Renton. We found this pumpkin patch last year for the first time and LOVED IT!! We’re heading back this year again! !